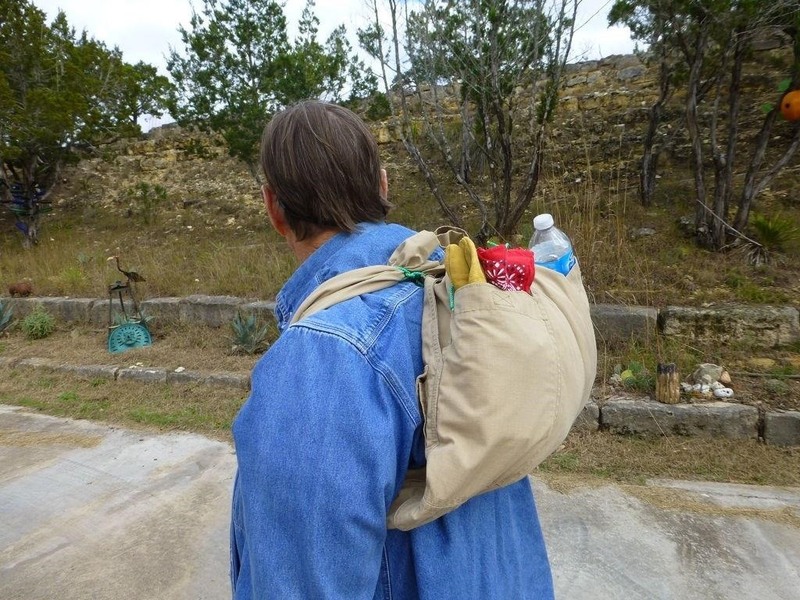 If you're an avid camper or hiker, you've probably been in a situation where you've needed a backpack and not had one. Maybe you brought one and it got broken or lost, or maybe your day trip turned into an overnighter. 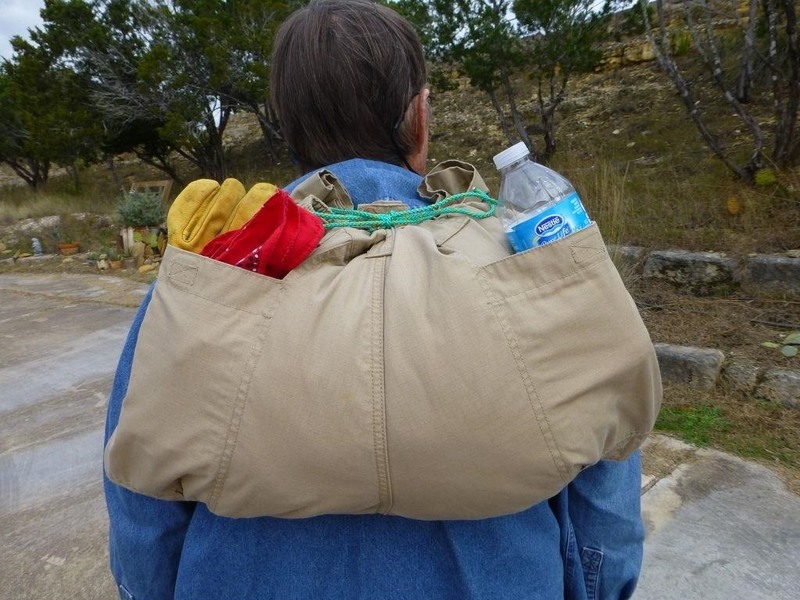 Whatever the reason, if you're in a pinch and have an extra pair of pants, you can turn them into a super lightweight emergency backpack. This trick was thought up by Instructables user Ludvicka and only requires some thick string or cord (besides the pants, of course). First, cut the cord into three pieces and tie each pant leg at the bottom. Now, tie the legs to the belt loops closest to the zipper. These are your straps. The third and longest piece of cord acts as a drawstring to hold the whole thing together. Just thread it through the belt loops, pull it tight and tie it off. Ludvicka suggests packing softer items like clothing closest to your body and keeping smaller stuff in the outside pockets (bonus points for using cargo pants). Head over to her full tutorial for more details and photos. 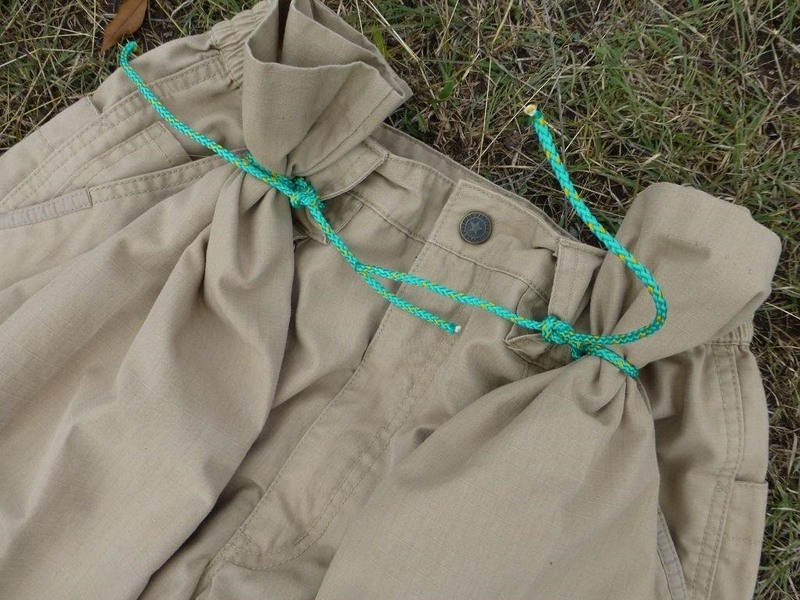 If you don't have a pair of pants, but have a tarp, poncho, or large top, along with some rope or 550 cord, you can also make a horseshoe pack for a quick and dirty rucksack. 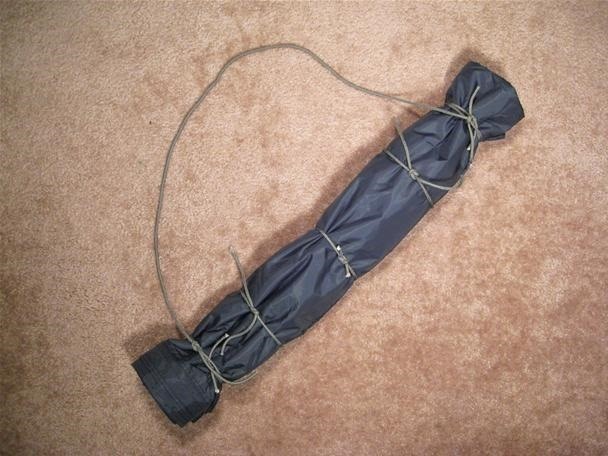 Check out Robert Xyster's guide, How to Build an Emergency Rucksack with a Poncho & Rope (The Horseshoe Pack), here on WonderHowTo for more details.